Peonies, one of mother natures most beautiful flowers. Big, fluffy and sweet they are the ‘in’ flower for weddings in 2014. 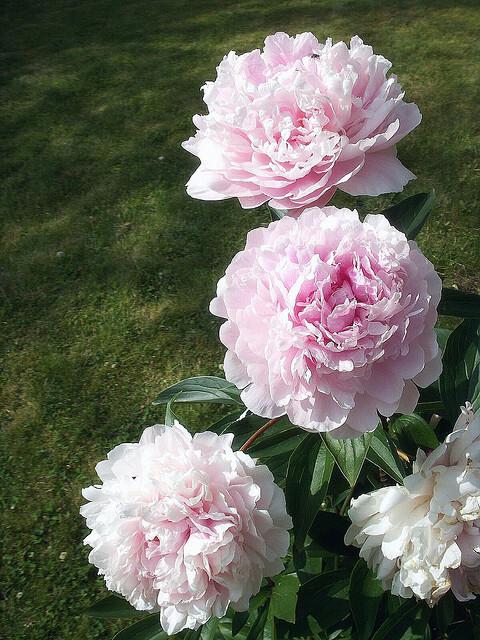 Peonies come in range of pastel and white colors. Unfortunately, peonies have one big drawback for brides on a budget. Price. Peonies are very expensive. Why are peonies so expensive? More importantly, peonies have a very short growing season. The main peony growing season in the continental U.S. is in the spring-April through June. 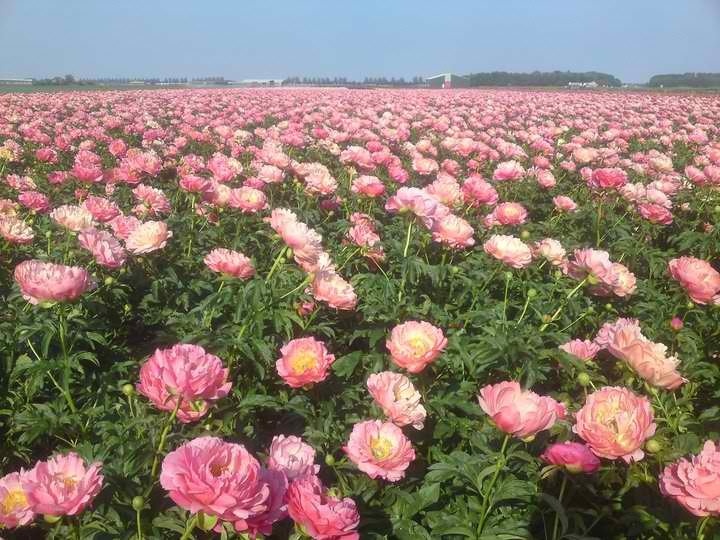 Now growers in Alaska are starting to grow peonies during the summer months , but the supply is limited. Also, in the winter peonies are available in small quantities from Chile during the winter months. Another wonderful peony is ‘Red Charm’ with its deep scarlet palate that is wonderful in the fall. We feature this peony in a beautiful wedding package called ‘Rumba Red’. Of course we can’t forget the most popular peony in weddings over the past several years, the gorgeous pink ‘Sara Bernhardt’. This huge blossom will work in with lots of shades of pink and it holds up very well. OK, you’ve just seen the most beautiful wedding bouquet on Pinterest or in a bridal magazine that has peonies in it. It’s to die for. You go to your florist and they quote you a price that is also to die for. Way more than you can afford. What’s a bride to do? Well, at Knight’s we specialize in finding substitutions for peonies that are less expensive. The best substitution are with garden roses. Many garden roses open up as big as a peony and have those ruffled petals and wonderful smell. In fact some garden roses look so similar to peonies most people would be hard pressed to noticed the difference. Check out a previous post on garden roses. So if your dying to have peonies, but they are out of season or just too darn expensive for your budget we here at Knight’s can help. Don’t hesitate to call or come by our shop. We can make your wedding memorable with or without peonies to fit any budget.